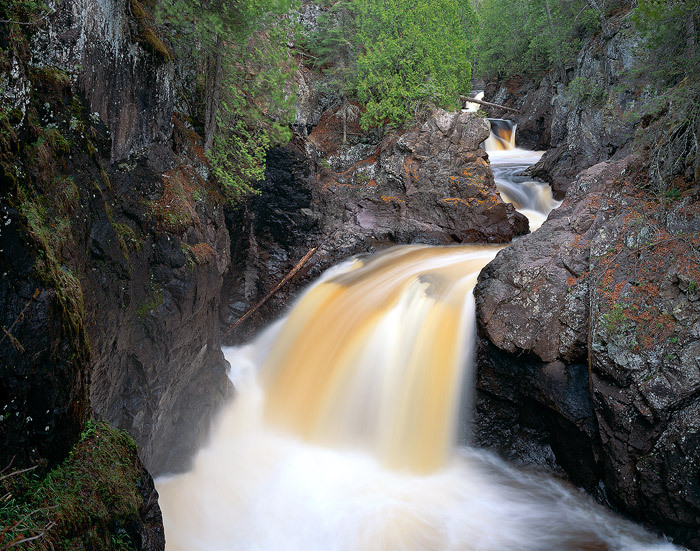 The aptly-named Cascade River tumbles by on its way to Lake Superior. Field Notes: Ebony 45S camera, Schneider 110 XL lens, Fuji Velvia film. Photo © copyright by Brett Deacon.